Cades Cove is a 6,800-acre valley surrounded by mountains and stunning scenery. It’s located about an hour and a half from both Gatlinburg and Pigeon Forge. To help you find your way around when you visit, we’ve created maps of the area! 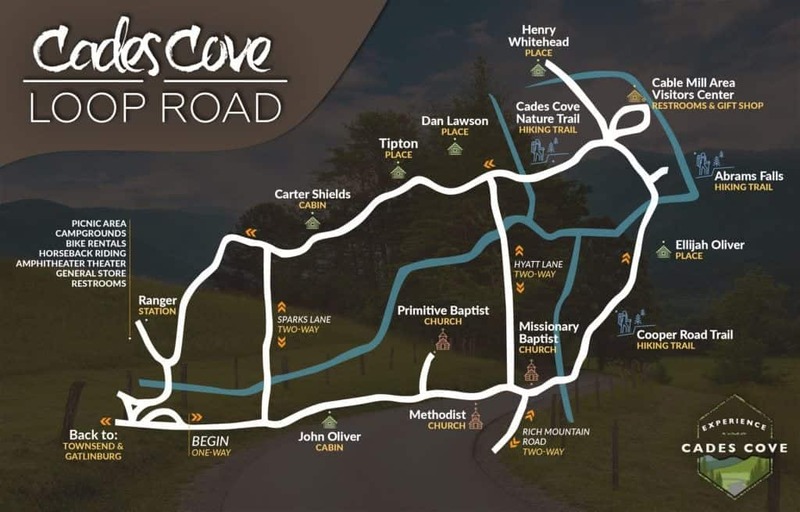 We have a Cades Cove Loop Road map that shows you what you’ll be able to spot along the trail and where you can spot it. This map includes everything between where you enter the one-loop road and where you exit. Our Cades Cove Campground map gives you the opportunity to see all the campsites and the picnic area.